FC Barcelona suffered a tough blow on Tuesday in Rome. The elimination from the Champions League leaves Ernesto Valverde’s squad without one of the three objectives that were set at the beginning of the season. There is, however, still a lot to play for in this campaign. The League and Cup will be decided in the next eight games, and it should be noted that the double has only been achieved seven times in the Club's history. At eleven points ahead of Atlético Madrid, with a maximum of 21 left to be won, Barça need just 10 more points to secure the League title. Valencia and Celta are the opponents over the course of the next six days and, after the Cup final, come Deportivo, Real Madrid, Villarreal, Levante and Real Sociedad. FC Barcelona haven’t lost a League game in 2017/18 and have matched Real Sociedad’s historic record in the competition; 38 consecutive games without defeat. If Barça win the title, it would be their seventh in the last 10 years. There is also the final of the Copa del Rey against Sevilla to be played, on April 21 at the Wanda Metropolitano. 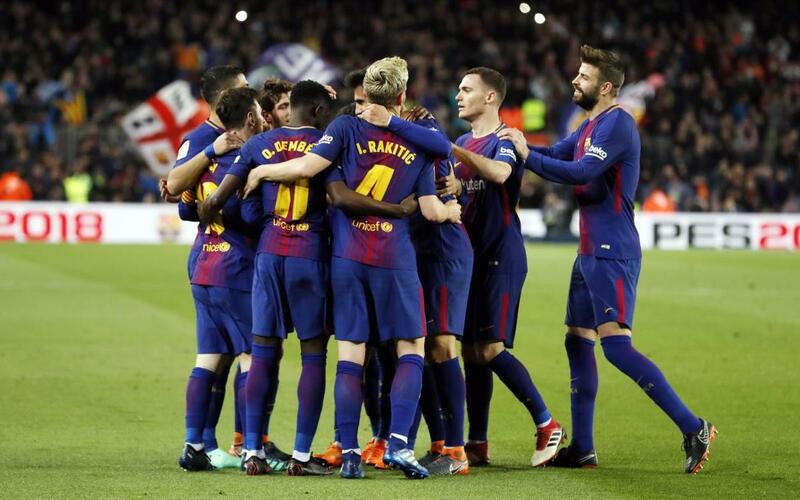 It will give Barça the chance to record a fourth consecutive win and, being the King of Cups, allow them to record their 30th Spanish title in the competition.